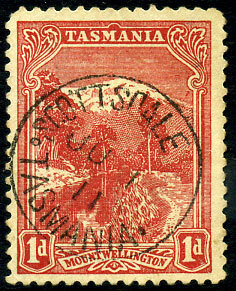 (Putzel 110) interprovincial dated 17 OC 11 on pair TV KE7 1d (SG.274). (T.3A, "OLD" excised) A/AP 4 06 on KE7 2d (SG.23). (T.3A, "OLD" excised) A/AP 27 06 on KE7 1d (SG.22), corner perf. fault. 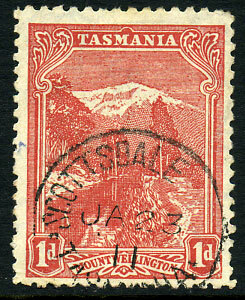 dated JU -- 1914 on horiz. 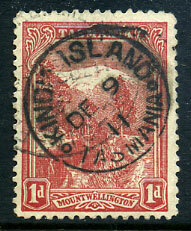 strip of three KGV 1d (SG.2) piece. Proud unlisted, possible excised instrument used for emergency purposes. 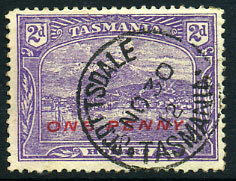 dated MY 3 -- (weak or omitted year slugs) on 1891 GB ovp'd QV 4d (SG.35). 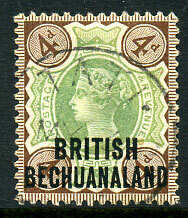 (BECHUANALAND excised from base). Tati under Rhodesian (B.S.A. 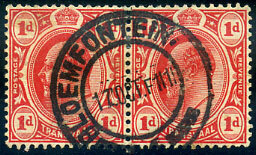 Co) control from MY 15 1894 and adhesives pmk'd TATI, MATABELELAND cds. (T.1) JU 1 11 on 1d view. (T.1) JA 23 11 on 1d View.